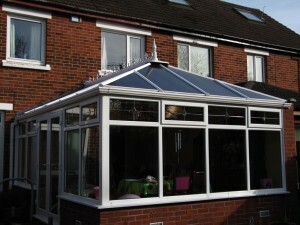 A conservatory can be a great asset to a home, providing an extra, bright living space. 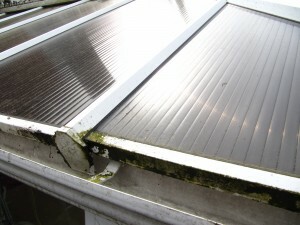 The problem with conservatories in our damp climate is that after a while, that bright, shiny white conservatory you once knew has turned a dull, green, weathered eye sore with spiders framing the windows with their complex webs. Clumps of moss have fallen from the house roof onto the conservatory roof, the house gutters are full of debris above the conservatory and flies find their final resting place on dustynwindow ledges. Instead of enjoying your additional space, it has become a wasteland of Christmas decorations, hoovers, cardboard boxes etc. How do we know that? 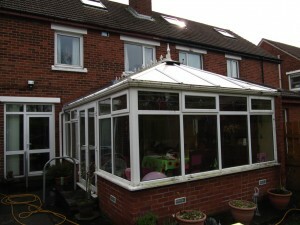 Simply because at JMS Services we have cleaned lots of conservatories just like yours! Of course you can give cleaning it a go yourself, but conservatory cleaning can be quite awkward especially without the correct equipment. 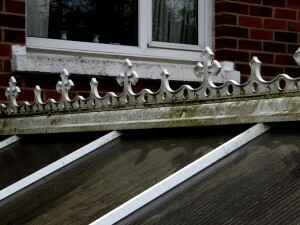 We can also clean that hard to reach window above the conservatory that never gets cleaned, and that length of guttering above your conservatory which is probably the source of all the moss on your conservatory roof! 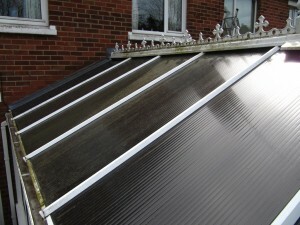 Using specialised equipment, we are able to clean your whole conservatory, from the decorative detail on the top of the conservatory roof, roof panels, guttering, windows, frames and doors. 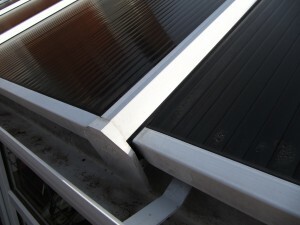 We also offer cleaning of the inside of the conservatory which includes the roof panels, windows and frames. So if your looking for conservatory cleaning in Belfast or beyond, why not give us a call. 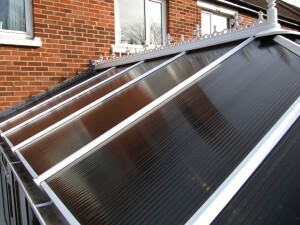 We can call out to have a look and provide you with a no obligation quotation. Here’s some photos of previous jobs we have carried out. 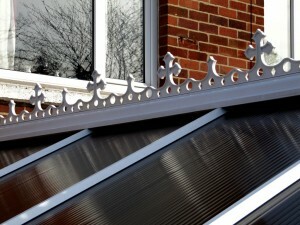 See the difference and start enjoying your conservatory again.